When you wear shapewear, you’re compressing your organs. Pregnancy also compresses your organs. Leaning or bending in any direction compresses your organs. Nauli Kriya really compresses your organs. Your own organs compress your other organs. 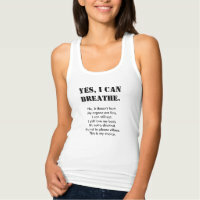 Taking a deep breath expands your lungs, lowers your diaphragm, and pushes down on your intestines. Peristalsis is the motion of your intestines moving chyme along – they’re constantly contracting and writhing. That includes compressing your bowels. Indeed, and this exactly why the body is so resilient and able to tolerate compression. From what I understand, corsets typically compress the organs in the peritoneal cavity, and the vast majority of what fills this cavity are hollow, membranous organs (like the stomach and intestines) that contain food/water/air/waste. When your stomach and intestines are mostly empty, they can easily be flattened down, and they take the majority of the pressure from shapewear (or a baby, or nauli), leaving other solid organs like the liver and pancreas bearing relatively little stress. As for shapewear possibly causing constipation and other bathroom issues, I talk about that in detail in this video (or this related article). Fran from Contour Corsets has also talked about why it’s important to learn how to have bowel movements while corseted, in this article. But some people who’ve had chronic constipation throughout their adult life have actually found that corsets have helped stimulate their bowels and help them have more regular movements. It works similarly to applying abdominal pressure and massage for relieving constipation. Speaking personally, I find that cycling the pressure of my corset (looser, then tighter, then looser, etc.) actually pushes things along in my bowels. Within the first 30-60 minutes of putting on my corset, I’m pretty much guaranteed to poop (I imagine it’s a toothpaste effect) and then I find I’m able to lace down further in greater comfort, as my abdomen just effectively lost volume. If no corset were on, this space would be replaced with air. You can develop tingling, numbness and pain in your legs. This is not just true for corsets and shapewear. It’s also true for tight underwear and jeans, and some people get numbness and tingling when they sit even in loose clothing – it depends on the person, how long they’ve been sitting, how they’re sitting, whether they have ergonomic furniture, etc. So I find it a bit unfair that they would point the finger at shapewear for something SO common. That said, just because it’s common doesn’t mean it’s safe or good for you. Also, they mentioned something very important here – the problem usually arises when sitting, which is a serious issue in itself. Seriously, do you know how bad sitting is for you? If they wish to minimize their health risks, humans should not sit. A well-fitting corset, when worn properly, should never cause numbness or tingling. This is why I’m constantly stressing the importance of finding a corset that fits you properly and doesn’t put any pressure on your iliac crest. A reducing corset should only compress the waist, not the hips or the underbust. In my last giveaway (where contestants wrote in explaining how corsets had improved their quality of life), several people have written in and explained how corsets had a hand in actually relieving nerve issues like sciatica and other complications related to scoliosis and/or slipped discs – this is because a proper corset made by a trained professional can function like a therapeutic brace. While we’re on the topic of nerves in general, corsets can help prevent/ relieve thoracic outlet syndrome in women with heavy breasts, and can help with sensory adaptation in those with sensory integration dysfunction and other sensory disorders. So while corsets have their risks with nerve issues (which is an indication of wearing it wrong, actually), corsets have their potential benefits as well. It’s a balance, you see. Your muscles will suffer if you rely on shapewear for good posture. If you don’t use it, you lose it. I don’t deny that some people can “develop a reliance on corsets” or other shapewear for good posture – but this is precisely the reason that Ann Grogan recommends a training schedule working yourself up to ~8 hours a day, 6 days a week. The 7th day is a full uncorseted day and gives you the opportunity to rely on your own core muscles so you can gauge your strength. Also – I’m not sure why this idea is propagated so widely, but corsets were never intended to be a substitute for exercise and toning. In fact, when people take on a waist training regimen, it often motivates them to work out more often in order to avoid atrophy. I recommend a daily core-strengthening workout if you start corseting – this can actually help you potentially obtain faster results than corseting alone or exercising alone, and it also ensures that you don’t experience core muscle atrophy. Also, when used properly, corsets may actually train you to improve your posture over time, not necessarily worsen your posture. More on that here. Plus, shapewear can create an environment prone to infections. I’ve talked about corsets and common skin issues here, so yes – if you don’t have good personal hygiene and common sense, and you’re not wise about the fabrics you choose for your corset and liners, there are risks. But I would argue that the risks for skin issues with rubber shapewear is even greater than the risk associated with corsets. The greatest cause of skin issues is the lack of breathable fibers. Many types of spandex/rubber shapewear are designed to make you overheat and sweat, claiming that this is how you lose bloat. Real corsets are not designed to work that way, and they can be just as effective at shaping your figure even when made out of cool, breathable mesh. Honestly, mesh corsets will change your life. Like everything in life, it’s important to exercise moderation: Don’t wear them too often…. Lastly, choosing the right fit is key. 1. How to measure yourself for a corset. 2. How to measure an asymmetric body for a corset. 3. Shape of the Corset Gap. 4. Troubleshooting More Corset Fitting Issues. 5. Sizing methods of various OTR corset companies. 6. 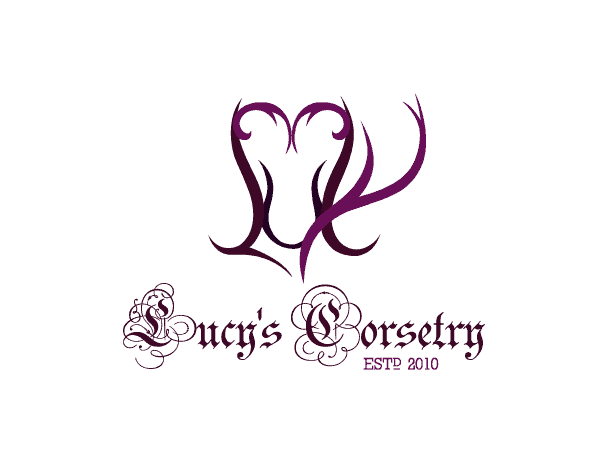 How to predict the fit of OTR corsets using their sizing charts. 7. How to measure your own corsets to verify Dimensions. Did I mention that fit is very important? Hopefully this clears up my thoughts on the anti-shapewear article. I think that the article brings up some valid points, particularly the last one about moderation and proper fit. But by researching corsets properly, acquiring a high quality piece that fits you well, and using it responsibly, you can enjoy corsets (and maybe even other shapewear) and still minimize your risks. Of course, if you have pre-existing health issues, you should see a trusted doctor before corseting, and same goes if you experience any discomfort while corseting. Actually wheren you wear vintage girdles there are health benefits. We as humans stand erect, standing erect along with time and gravity has a very negative effect on our internal organs. Choosing to be girdled or corseted everyday will without question counter this negative effect by supporting and holding your internal organs in their normal natural postion. The key is keep your stomach muscle relaxed and let the corset or girdle give you needed control and support. What you will experience is much more energy and confidence, the benefits are real. Yes you can get to the point were you will need to rely totally on a girdle to give your stomach and back needed control and support, I really would not worry about it, it is recommended to do situps and exercise. What you will find is you do feel great when well supported in a corset or a girdle. I’m glad you harped on how important fit is. I have been wearing “support” pantyhose for years to work. Even the light compression hose make a huge difference when you are on a concrete floor for hours, but if you are not wearing the right size it’s going to be very uncomfortable! Thank you for this post, Lucy! I am someone with a myriad of the issues you name — sensory integration disorder, in addition to RSI’s that affect my back. Although I initially got a corset for an event, I find wearing it daily for 1 to 4 hours has really helped me with both of these issues. I find myself sitting and standing straighter while uncorseted, and my lumbar pain has improved. It’s also helped me reconcile with my injuries psychologically, because rather than feeling medicalized, I feel outlandishly beautiful. This is going to sound strange, but corseting also helps me meditate. I experience body anxiety probably due to the schism I have with sensory integration disorder. Being corseted while in this state helps clear my head and plant me in my body. I have certainly not experienced any of these issues this article implies are guaranteed, although that is largely due to the wealth of information I’ve found on your various resources, so thank you again. FANTASTIC article and I agree 100%. I’m a “firm” believer in shapewear and it has its place in daily life – but people who are going to invest money in a shapewear item or a corset need to educate themselves before they dive into something like this. The information is out there. It’s free. All it requires is your time.